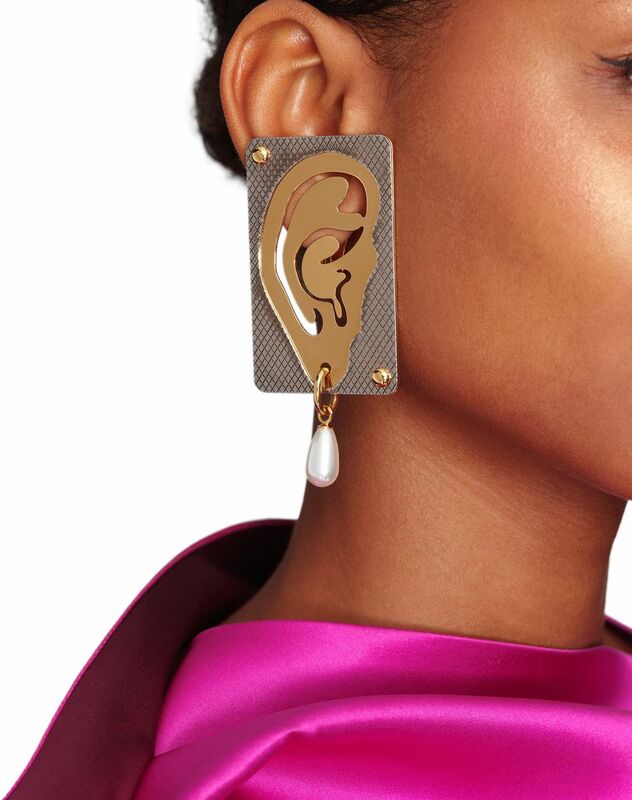 Single earring from the Bewitched line in gold and silver brass, graphic overlaid metal plates with openwork detail, adorned with a Swarovski crystal bead and a clip back. Inspired by ex-voto symbols, Lanvin’s Bewitched line stands out for its artistic style with mystical vibrations, adding a touch of surrealism to the Summer 2019 collection. 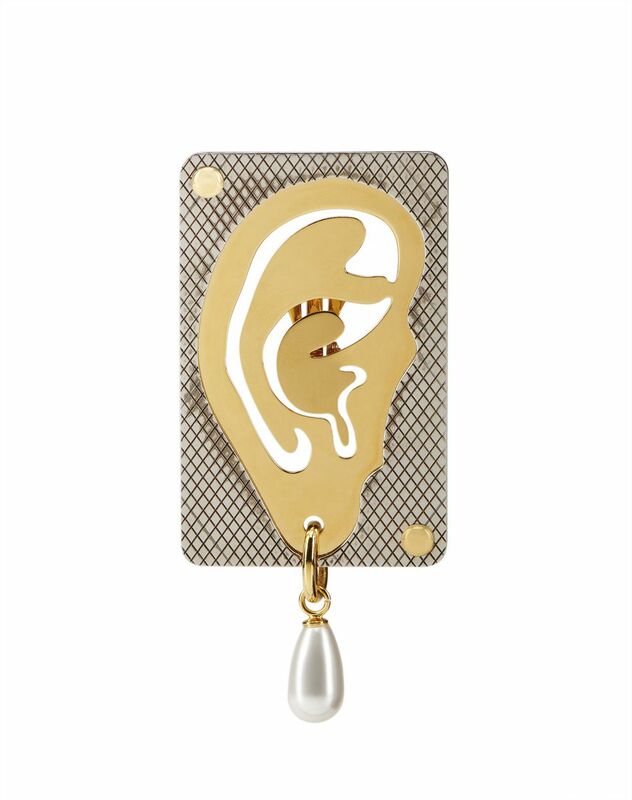 This earring features a graphic trompe-l’oeil motif, allowing it to be styled and worn in many different ways. 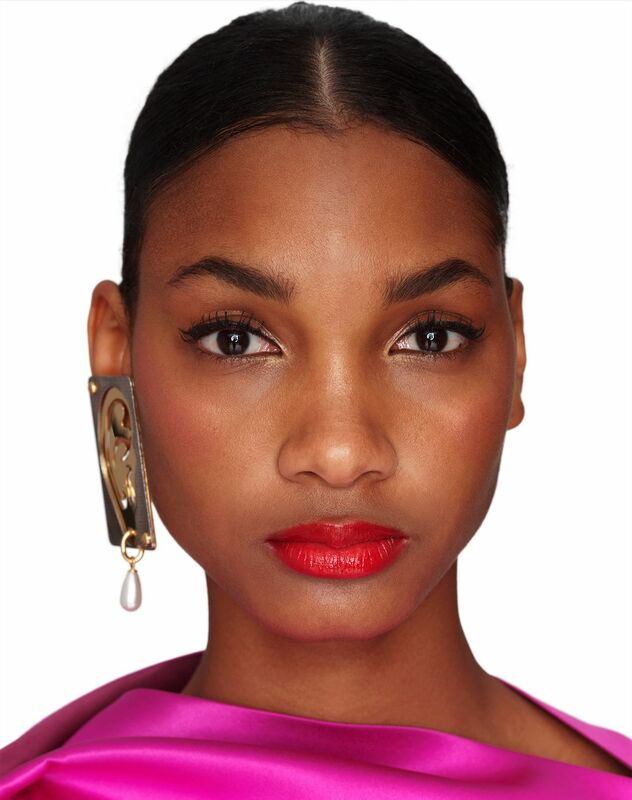 The Swarovski crystal bead adds elegant depth to this unique accessory. Main material: 100% brass. Back: clip Made in Italy.